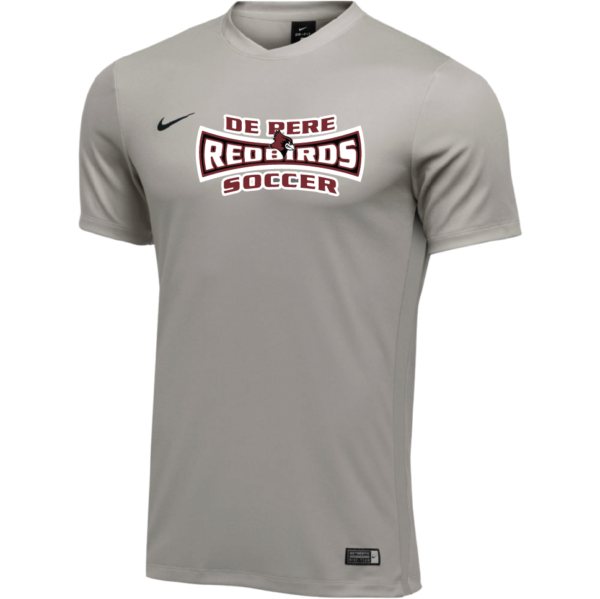 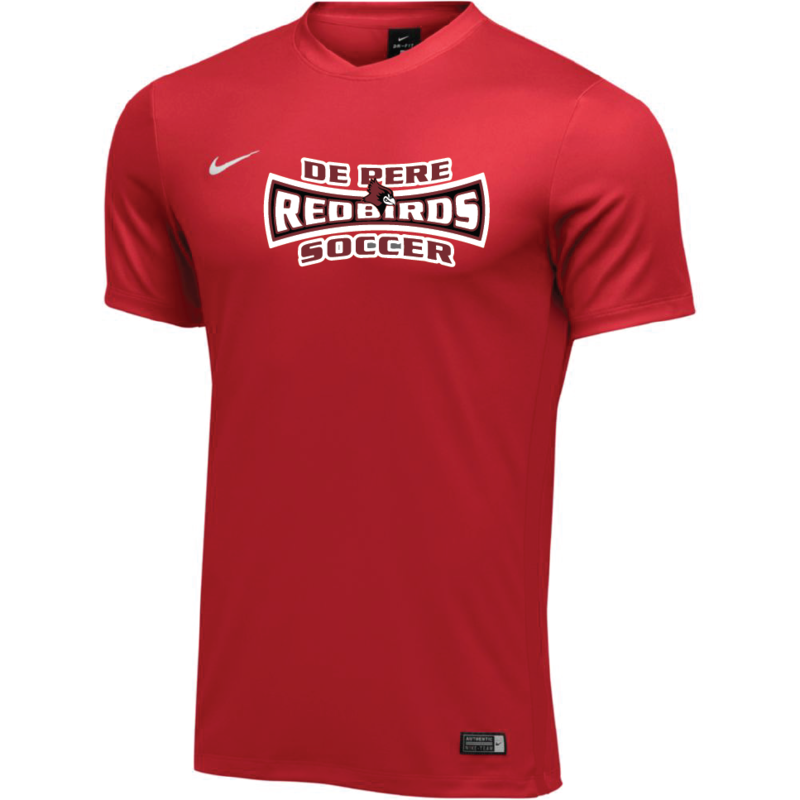 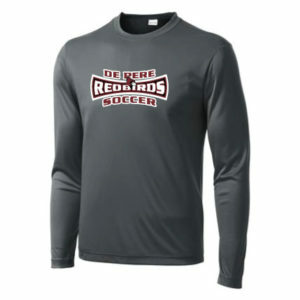 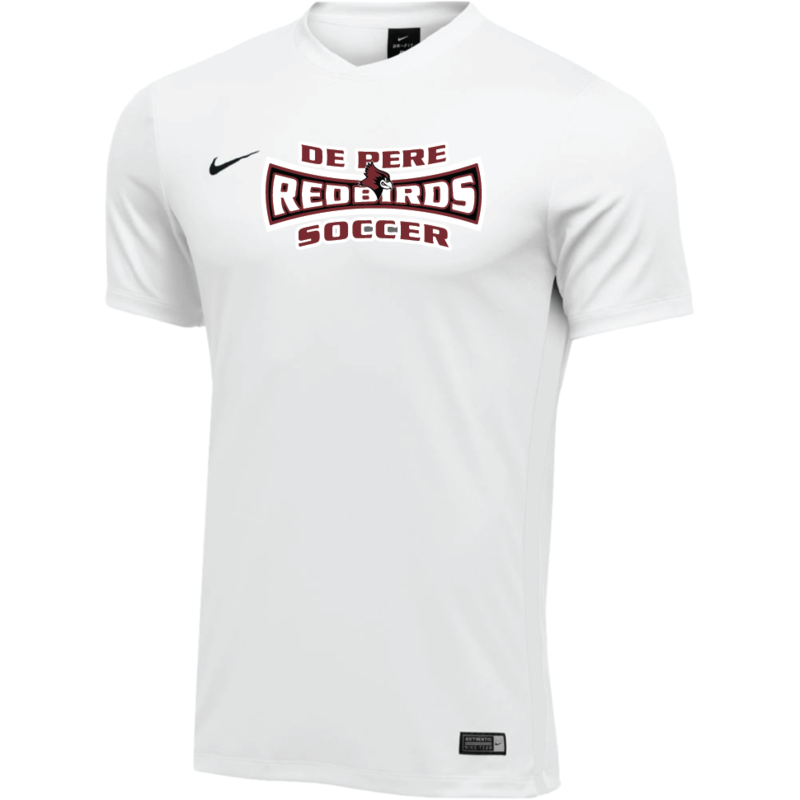 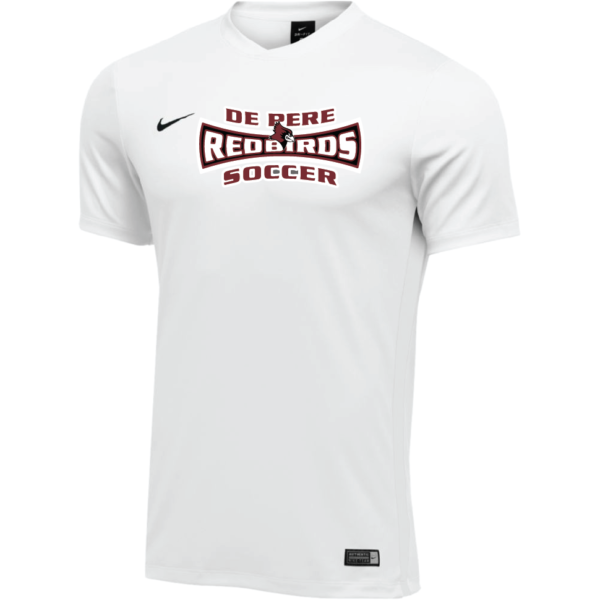 Short sleeve performance Nike shirt with De Pere Redbirds Soccer logo screen printed across the chest. Men’s Nike Dry Park VI Football Jersey is constructed of Nike Dry fabric with Dri-FIT technology that pulls sweat from the skin to the surface of the garment to keep you dry. 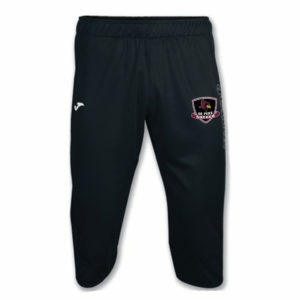 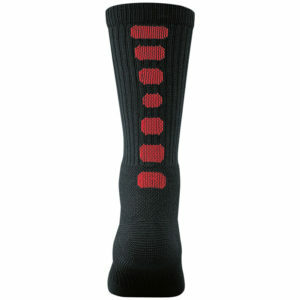 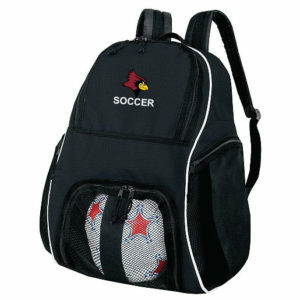 The comfortable fit and taped collar make it ideal for match play or training.